Is the power of thought to be the farming method of the future? Sustainable Yogic Agriculture has been taking India by storm, led by the Brahma Kumaris World Spiritual University (BKWSU). Thousands of farmers in India are combining methods of organic farming with thought-based meditative practices. The theory is that seeds will react to the thoughts exposed to them in the same way that people can feel good or bad vibrations from one another. The BKWSU recognizes that to sustain agricultural production, healthy environments, and viable farming communities there must be a whole-systems approach to agriculture. Traditional knowledge and organic farming should be incorporated into this whole-systems approach to link ecology, culture, economics and society. Yogic Agriculture harnesses an organic systems-wide approach, recognizing all elements of farming: humans, animals and bird, flying and crawling insects, micro-organisms, seed, vegetation and surrounding ecosystems, and the natural elements of sun, soil, air, water and space. A month before sowing, the seeds are placed in a meditation center where they are given thoughts of peace, non-violence, love, strength, and resilience. After, meditations are conducted remotely and in the field with the phases of the crop growth cycle. According to Climate Home, early data collected through a field study in Gujarat suggests an improved seed quality and increase in crop yield, which are pretty remarkable results. Additionally, local farmers determined that the yogic process saves a total of Rs. 14769.00 (USD $330) per acre as compared to alternative chemical farming, offering low-cost high-benefit methods for local communities. Another big component of the Brahma Kumaris is the aim to resolve the problem of Indian farmer suicides by promoting self-esteem and improving farmers’ emotional well-being. The BKWSU has been teaching methods of personal empowerment based on techniques of Raja Yoga meditation for more than 75 years, including techniques of understanding the self as a soul, managing the energy of the mind, becoming cognizant of the relationship between thoughts and behavior, maintaining a thought-union with the Divine and experiencing transcendental states that fill the mind and character with strength. Click here to learn the seven effective steps to practice Yogic farming. The yogic farming movement is not exclusive to India. Other farms around the world have adapted some or all of the yogic farming principals into their farming practice. 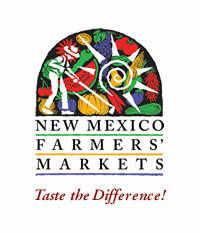 In the picturesque North Valley of Albuquerque, New Mexico, lies Sol Harvest Farm. The people of Sol Harvest believe in starting the day with gratitude, listening to the Earth, building community, giving back, food as art, and life as art. Yogic farming isn’t exclusive to thoughts and meditations, and farmers should feel welcome to take advantage of yoga’s physical healing powers, a remedy for hurting bones and sore muscles brought on by working in the field. Lacy Saenz is one of the interns at Sol Harvest, as well as a certified yoga teacher. I had the privilege of spending a day at the farm with her and the other lovely people at Sol Harvest! We planted onions, which ended up being the perfect work day to demonstrate some key yoga poses that can help with some of the body aches that come from farming or gardening. Below are 6 key poses with their physical and energetic benefits that you might want to try out! Keep the weight in your toes, elongate your spine, and rest your belly on your thighs. This pose will increase circulation and keep your spine long. This pose brings a grounding energy to whatever you are doing, and since the quads will engage naturally, you could say it brings an enthusiastic energy with it. In this pose, you will want to move the flesh from your calves outward and sit on heels with the blades of your sits bones. Once you have positioned yourself pull the flesh from your glutes back as well to sit better on the sits bones as well. Farming and gardening has a lot of activity where the shoulders are collapsed. Keep the spine long in this position to keep the chest open and oppose that collapsing motion. This is a rooted or grounded pose and will bring that energy to whatever you are doing. You will find that this pose is especially helpful for seeding and transplanting. This pose is also a prayer pose. If your practice includes a blessing or prayer this is a good connection pose to practice. Keep your toes lifted, weight in your heels, and shins as vertical as possible. Place your elbows on the insides of the knees or thighs. Keep your hips open to give room for the chest to come forward and open. Make sure to keep the quads strong to allow the spine to be rounded. This pose is a default pose in India for farming and other daily life activities. This pose is beneficial for seeding and transplanting. This pose evokes a downward flowing or rooted energy, and it is reminiscent of childhood and growth and can bring that energy to what you are doing. This pose also connects to the root chakra, which is a feminine chakra. This can bring a manifesting or creative energy that supports bringing life. Keep a wide stance with your feet parallel, quads engaged, weight in the heels and toes lifted. Keep the length of the body and bring the rib cage off of the pelvis. This gives more room to breathe into the lower belly. This pose is good when you have a need for a forward fold but also have a need for strength, like weeding. Press the hips forward, press the knees back, keeping the feet in line with the legs. Drop the shoulders down and back and press the chest frontward as much as you can with the movement you are doing. This pose is good for things like raking and preparing beds. This pose has a creative energy associated with it; it can create a nest for things to be created so to speak. Keep the weight in your heels and toes lifted. Shins are as vertical as possible. Quads are engaged! This pose has an upward energy that will create a lot of heat fast in the body. It is a complimentary high energy to grounding nature of all the other poses. This pose is very important when lifting heavy wheelbarrows, bales of hay, etc.